You have probably read or heard about the benefits of “forest bathing”. It is a Japanese healing practice called Shinrin-yoku which roughly translates into English as “forest bathing”. The practice involves spending quiet time in the forest, taking leisurely strolls, sitting in the dabbled light coming through the tree canopy, and breathing in the fresh air full of aromatic volatiles released by the trees, understory plants, and rich humus. There are scientific studies that demonstrate the vast benefits of leaving the bustle of our fast-paced lives behind and relaxing in the forest. Reported benefits include reduced blood pressure, reduced stress, and improved mood. Where I work, we created a delightful forest garden with log lined paths that meander through the woods. Over the years we have filled the area with all our favorite shade-loving medicinal herbs including goldenseal, bloodroot, black cohosh, ginseng, ramps, fairywand, jack-in-the pulpit, mayapple, Solomon’s seal, and more. It is wonderful place to visit anytime of the year. In the spring, I look for the first ramps to poke their heads out of the cold soil and the first blooms on the bloodroot. In mid-summer the air is moist and warm, the paths are soft, and everything is very green and fragrant. In the fall I am greeted by the brilliant colors of the changing leaves and the rattle of black cohosh seed pods as they wave in the breeze. And I love walking on snow covered paths in the quiet of a sunny day in the middle of winter. If you have even a little bit of woods, you can create your own forest garden to relax in. If you have even a little bit of woods, you can create your own forest garden to relax in. Look around and think about where you can put in some gentle winding paths. Be sure to plan for a sitting area where you can install a small bench, a big rock, or a log to sit on and spend some time soaking in your surroundings. Check the garden area for drainage issues looking for any swampy low spots or potential run-off areas that could wash out your new plantings. Deal with any problem areas now. In some cases you can divert water so it won’t damage your garden when the heavy rains fall. And sometimes you can improve drainage in swampy areas. Other times you just have to live with those areas and find appropriate plants to put there. Most forest gardens do not require irrigation, but if yours tends to get dry, think about how you will get a sprinkler or soaker hose into the area when needed. 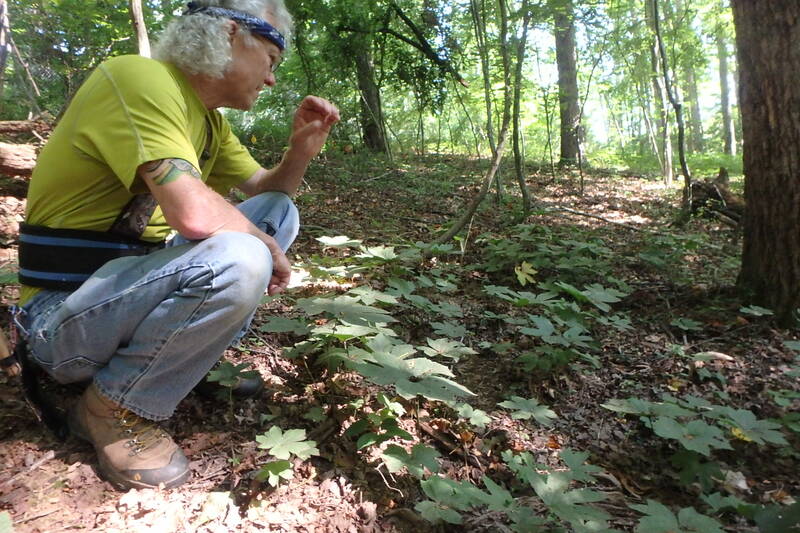 Identify non-native invasive weeds, and start working at removing them. This can take a long time, months or years, so don’t stress about it, just make a plan. 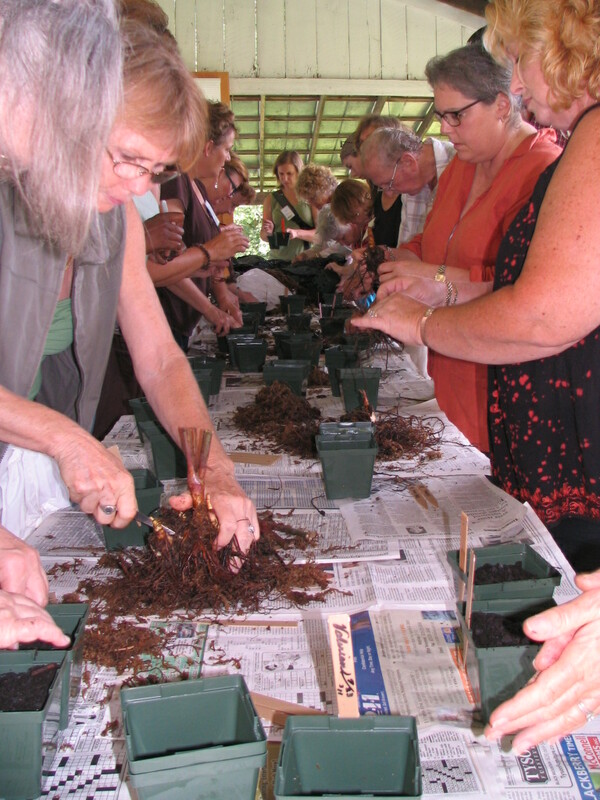 Also identify what kinds of medicinal or native plants that you like are present. You might need to give them some room to expand or spread them out a bit. Then comes the fun part. Make a list of the plants that you want to have in your forest garden. These can be trees, shrubs, and short understory plants. In addition to the ones I mentioned above, some favorites I would include in my private garden would be pinkroot, elderberry, bethroot, wild ginger, blue cohosh, partridge berry, boneset, wild indigo, cranesbill, passionflower, galax, spikenard, and maidenhair fern. Walk through your area and get an idea of where you would like these plants to go. I suggest that you visit other gardens and check out some examples on the internet to give you inspiration and ideas. Draw out a plan and keep it on hand. Forest gardens often take several years to develop and you will want to remember where you intended to put each of your precious plants. Next, you need to gather your plants. As a plant lover, you know this is an ongoing process. 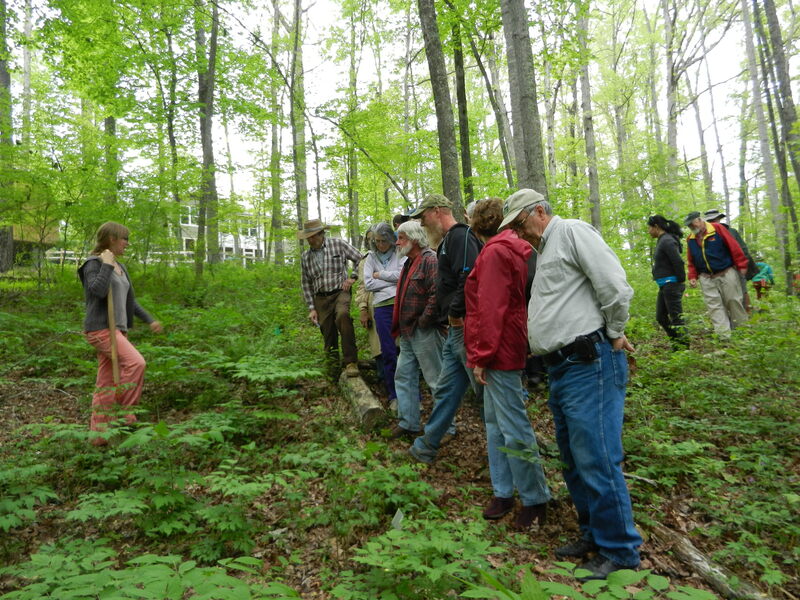 But for this purpose, if you have never grown forest botanicals before, you might need to seek out some new sources. There are herb themed workshops, conferences, and festivals going on all the time and there are often plants for sale at these events. But my two favorite ways to get new plants is to seek out little specialty nurseries and to visit private gardens owned by fellow plant lovers who like to share. So, be sure to always have a garden knife, trowel, gloves, plastic bags, a few pots, plastic labels, a permanent marker, and a small gift in your vehicle for those occasions where you find yourself in the woodland garden of a generous gardener. For those occasions where you find yourself in the woodland garden of a generous gardener. To help ensure success with your new forest garden, pull a soil sample and get it tested to make sure the soil pH and nutrient levels are appropriate. I doubt the soil test form will have “forest garden” on it, so look for native ornamentals or ginseng. Following those recommendations should serve you well. If you don’t know where to send your soil sample, call your county extension office and someone there will advise you. Most states have a lab at the university or department of agriculture that run soil tests for farmers and gardeners. The cost is usually free or nominal. When your results come in, make the recommended adjustments, keeping the fertility on the low end of the recommendations. Now it is time to start planting. As you sow your seeds and set your seedlings and rhizome pieces, be sure to put in plant markers so you will remember where everything is and “what is what”. You can use little plastic markers, but I suggest you invest in some permanent metal markers that you write on with a carbon pencil or imprint it with a stylet. You can always add your own personal touches to your garden such as garden art, bird baths, wind chimes, and decorative stepping stones. And there you have it. Your own private woodland paradise to practice your own forest bathing in! My book, Growing and Marketing Ginseng, Goldenseal and Other Woodland Medicinals, has a whole section on Growing Woodland Medicinals in the Home Garden. It includes interviews with some of my favorite forest gardeners. I think you will find it a helpful resource. 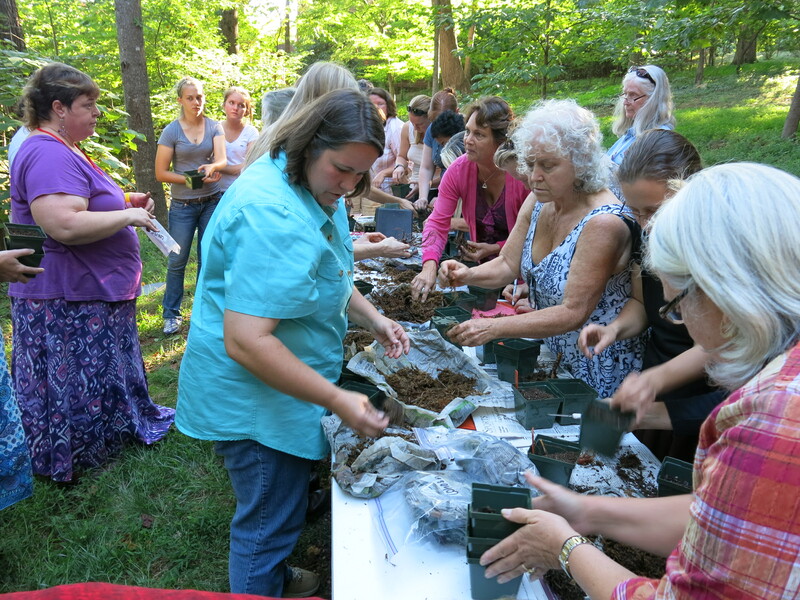 And I welcome you to join me on Friday at the 2017 Heritage Harvest Festival for my workshop where I will teach you how to grow your own ginseng and goldenseal. There you will propagate some goldenseal and get to take it home with you to plant.